Some Tips From A Friend "Edward Hire"
I don't know how to express myself or use words that can truly bring out the sense of what I mean by "SURELY GOD NEVER FAILS". You can never understand the meaning and depth of light until you go through darkness and Light is all you long for. - Even though it is a tiny bit of light, the influence it has on lighting up your path and giving you clear vision, is something appreciable and that many can or should never take for granted. Stories have been told of how people have been in a mess and in our human understanding or perception, we write them off like damaged cars that seem to be out of form for repair. But if you see things differently you could be the only one who says that I can bring back this car to life. I must say that what the Bible says in Job 14: "At least there is hope for a tree: If it is cut down, it will sprout again, and its new shoots will not fail. "is surely true. 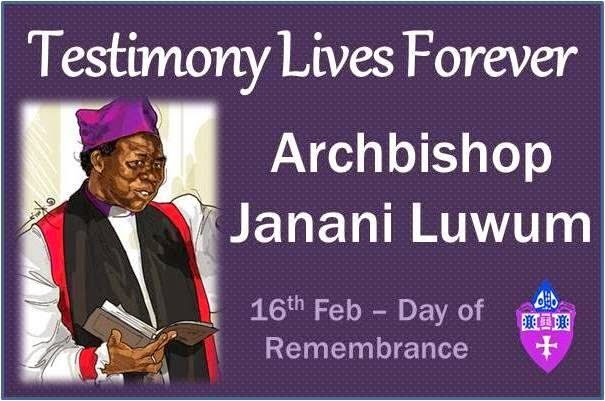 I see no Christian write about the Late ArchBishop Janani Luwum but am not saying they should, I have read a few scripts written in the papers about this man, he was not only a person who detested Amin's dictatorship [they say he was a leading critic of the regime and had personally delivered a note of protest to the big man against arbitrary killings and unexplained disappearances of people in the country Uganda], Samuel Oduny in his commentary of today's The New Vision said "Luwum was a courageous patriot". PM Ruhakana Rugunda says "Janani Luwum stands tall in our history and as an example beyond Uganda's borders". It is still said that among his good deeds, "Luwum showed great care in the leprosy work in Gulu, holding thanksgivings services to those discharged from the hospital." How Honest Are You With Budgeting And Applying The Godly Principles Of Money In The Bible? 1. You Have To Be Honest With your state of life and work towards making it better, this will make you gain favor with God and his people. 2. In being honest, You Need To Be Humble - this leads to Wisdom and with wisdom you make wise decisions that will change your life and create a good environment for managing your finances. OBEDIENCE Have you ever wondered how such a strong word can blend into financial management. Just Give it A TRY, set your budget and obey the set standard and see the results compared to when you were spending with a plan or direction. One ACT of OBEDIENCE can translate into generation wealth Here is a scripture from Deuteronomy 28:1-14 " “If you fully obey the Lord your God and carefully keep all his commands that I am giving you today, the Lord your God will set you high above all the nations of the world. 2 You will experience all these blessings if you obey the Lord your God: 3 Your towns and your fields will be blessed. The same thing about knowledge comes back whether we want it or not. 2 Timothy 3:14 But as for you, continue[be faithful] in what you have learned and have become convinced of, because you know those from whom you learned it, There are questions we must continue to ask ourselves, if we are to improve on how we do our personal, business financial management. Am I continuing in what I have learnt by practicing it? Am I faithful to myself and to the application of the principles? Am I consulting even more concerning something I am struggling with? Am I reading to find out more about that subject? Am I networking with people in that field to learn from them? There are certain habits we need to develop in relation to the questions asked, Timothy continued and was faithful in what he learnt as he practiced more and the source of the person who taught him was also authentic and that played a big part in his success story. A friend of mine called Bweme Antonio once mentioned that "When we develop the habit of success, we make success a Habit"
The best investment you can ever make is in your brain, scripture confirms this by saying we should be transformed by the renewing of our minds. When you aren't transforming, it means you are conforming to something. When it comes to financial management, the same principle applies, we need to keep learning and re-learning, we can only be changed by what we read and how we apply it... 2 Timothy 2:14 [KJV] Of these things put them in remembrance, charging them before the Lord that they strive not about words to no profit, but to the subverting of the hearers. 15 Study to shew thyself approved unto God, a workman that needeth not to be ashamed, rightly dividing the word of truth. Time is never in any one's hands and scripture actually says we should redeem time (probably one of the only things that can be redeemed) but it is one of the resources if not managed well, it can affect almost every thing we do. We need Wisdom, When applied we can enjoy the benefit of it thereof.. I have mentioned before that there is a cost for reaching late, that price pinches more than ever and it all comes down to poor time management. So with this said and since time can be redeemed, It is never too late to change course and follow your passion and apply what you have learnt. (One of the Most Important principles in life) - Can be applied to financial Management. Borrowing from scripture Paul said in Philippians 3:14 "I press on toward the GOAL [MARK] to win the prize for which God has called me heavenward in Christ Jesus." 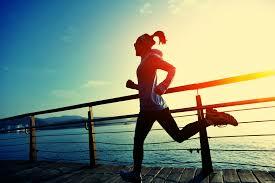 If you never have a goal in life, you will live aimlessly, the wind can take you anywhere without your permission. A GOOD READ for everyone, If you have an idea, it can become your business, Get the skills, be patient and keep growing, After reading the story of these two brothers, I guess it defies the odds that nothing is impossible, even family members can do business together, just have a vision, purpose and passion for what you do... It is the time for young people to RISE.. With God all things are possible. The first time I read about compound interest was from the book "MAKE SENSE OF YOUR MONEY" by Mr James Abola. Having understood the principle, I said let me teach my wife what I have found out but more so I gave her the book to read so that she could chew the food and get satisfied on her own. Today as I checked our account, I indeed saw a big change and I must say - knowledge can only be really valuable when put to practice. This is what compound interest is from Wikipedia - Compound interest is interest added to the principal of a deposit or loan so that the added interest also earns interest from then on. This addition of interest to the principal is called compounding. A bank account, for example, may have its interest compounded every year: in this case, an account with $1000 initial principal and 20% interest per year would have a balance of $1200 at the end of the first year, $1440 at the end of the second year, $1728 at the end of the third year, and so on.